Senate President, Dr. Abubakar Bukola Saraki has said any effort to end the current recession in the country requires dialogue and cooperation from all leaders. The Senate President’s comments were in response to repeated questions about his recent meetings with President Muhammadu Buhari and the Senate’s votes to return the President’s Medium Term Expenditure Framework (MTEF) and $29.9 billion loan request pending the submission of supporting documentation. 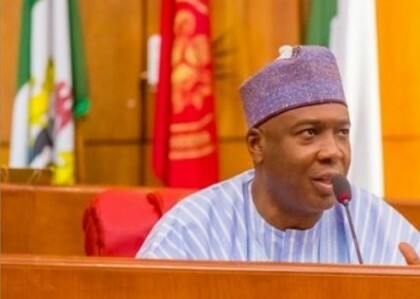 A statement issued by the media office of the Senate President said Saraki made the comments when responding to repeated questions about his recent meetings with President Muhammadu Buhari and the Senate’s votes to return the President’s Medium Term Expenditure Framework (MTEF) and $29.9 billion loan request pending the submission of supporting documentation. “Reports of rising tension between lawmakers and the president are overblown,” Saraki stated. “The MTEF and the loan request were returned to the executive because both submissions lacked the supporting documentation necessary to conduct due diligence and oversight. “The real concern should be the length of time it will take to receive the requested documentation and the time lost toward beginning the 2017 budget process”, he said. The Senate President explained that the 1999 Constitution gives the National Assembly the power to approve federal appropriations and that this means the annual budget and loan requests must be passed by the federal legislature. “What the media is now focusing attention on and what the public is witnessing is not political gamesmanship. This is the discourse that must occur if we are to figure out the best way to tackle the recession. “The growing cooperation between the executive and legislature is the only way to move Nigeria forward”, he said. Both the National Bureau of Statistics and Bloomberg Markets reported yesterday that Nigeria’s inflation rate rose in October from 17.9% to 18.3%. Increases in the inflation rate of housing, electricity, water, lubricants for personal transport and education were leading sub-index sectors driving the inflation rate. Additionally, food inflation rose from 16.6% to 17.1% led by increases in the price of bread, cereal, fish and meat. Additionally, food inflation rose from 16.6% to 17.1% led by increases in the price of bread, cereal, fish and meat.